Photo Gallery #61: Click edit pencil to get the selected gallery name. 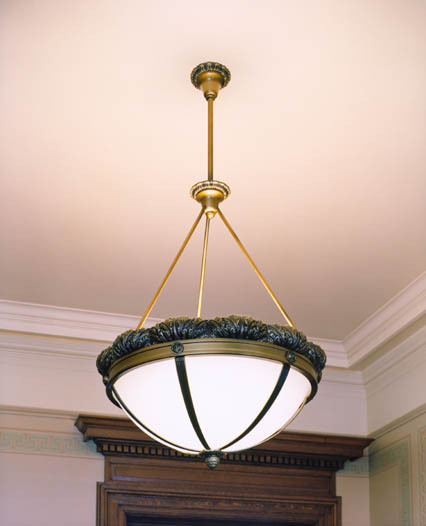 Project: Wisconsin State Capitol, Madison, Wis.
Fixtures: Architectural details original to the building were incorporated into this modern, energy efficient, direct/indirect pendant. Manning Engineers worked closely with the design team and made patterns from the original aluminum castings and created a distinctive multi-step painted finish. Fluorescent lamps, all accessible without removing the bowl or trim ring, provide both up and downlight.